I own and use the Pro Plus All-Theme Package from StudioPress. This means that any of their themes are available for me to use on your site. Do my sites look like the themes you see on the StudioPress site? No way. I customize the heck out of them to meet my project needs but have found it real simple to use Genesis child themes as a jumping off point. If you would like to know why I prefer Genesis, have a look here, learn more. Gravity Forms is the single most popular plugin for WordPress in the known universe. I own and use their developers license. This means that you don’t need to spend $200 per year to take advantage of all the cool things Gravity Forms can do for you. I have you covered. As long as I am your developer and Gravity Forms is my tool of choice, your plugin is paid for. Check out the growing list of extensions for this plugin. If this claim makes you curious, check out the results in this 2015 membership plugin shootout written by my friend, Chris Lema. MemberPress earned first place in a field of 30 worthy opponents. I own a developers license for this as well. If you need a membership site, the cost of $99 per site is covered. 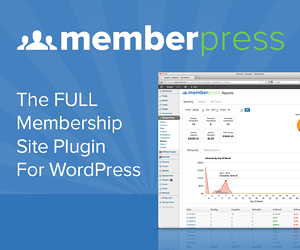 The author of MemberPress, friend—Blair Williams, is very proactive to the needs of the WordPress community and MemberPress users. So this plugin is always adding new and helpful features. WPEngine is not a service that is included in the price of doing business with PCGS. I use WPEngine for my hosting and close to 90% of my clients now do too. If you would like me to maintain your site, I require that you host your site with them. WPEngine is not inexpensive—BUT considering what you get, they are worth every penny. Yes, I am an affiliate but only because its crazy stupid for me not to be an affiliate after so many years of sending clients there. I may as well earn a little income for the referral. I have worked with WPEngine accounts for over three years now migrating, building and editing massive numbers of sites. I know how to make the most of the features that WPEngine has to offer. That alone is a benefit to you. While every site is unique, I have experience in all of the above. My personal favorite? Currently its Stripe connected to a Gravity Form. If you have ever purchased a retainer or maintenance subscription from me you have used it. I think it is a terrific way to navigate away from all the headaches that can arise from full blown eCommerce. But it isn’t for everyone or every project. If you want to do the full tilt boogie, I am also experienced with WooCommerce!